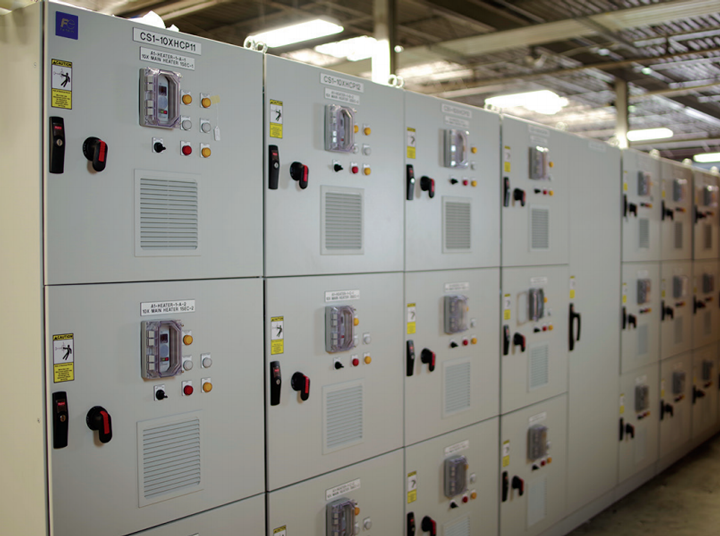 Facing the challenge to develop and produce industrial heater controller cabinets to line up with end user requirements, Fuji Electric, an electrical equipment manufacturer located in Roanoke, Virginia, reached out to HOFFMAN to develop a durable and potent custom enclosure solution. 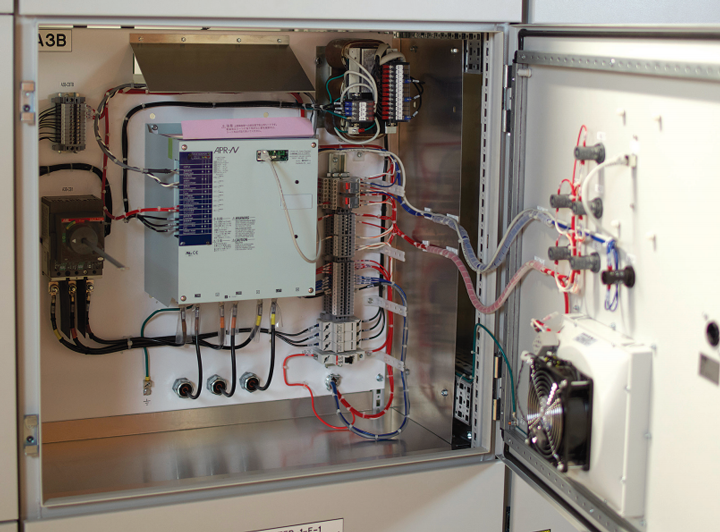 Needing to develop and produce heater controller cabinets to meet the end user’s requirements such as floor space restrictions and input/output power distribution within the cabinet for multiple heater controllers, Fuji Electric required a custom solution: a three-layered enclosure with multiple compartments for mechanical and electrical isolation instead of the traditional multi-bayed enclosure. Fuji Electric also required the solution be strong enough to withstand loading up to 1,200 lbs., the flexibility to accommodate different ratings of controllers, various sizes of cable and/or busbar, and be able to fit in a tight space. Each heater unit also needed to be isolated in its own compartment, as not to require shutting down a complete process line in case of maintenance on a heater controller or a particular section of the end user’s equipment. Fully populated and assembled enclosures ready to send to the customer. To solve Fuji Electric’s problem, HOFFMAN used ProLine G2 and designed a custom solution to meet Fuji Electric’s specific needs. ProLine G2 is designed to bear heavy loads and the harsh conditions of an industrial environment, making it the perfect solution for the application. ProLine G2 is an easy to use solution, offering maximized usable space and is built to last with sturdy components and materials. One of the heater controllers installed in the enclosure.